I cannot recommend Mick enough! He was so patient throughout all my lessons which was needed as I was super nervous about everything! Passed today first time with only three minors and I definitely wouldn’t of been able to do it without Mick - thank you so much! Mick was my second instructor and I am so glad that I changed to him as he is an amazing teacher! He was incredibly patient and encouraging during lessons even when I was a nervous wreck! I tend to panic easily and Mick always knew how to calm me down and give me the confidence to carry on. Mick is so easy to get along with which really helped me to feel comfortable and at ease during our lessons. 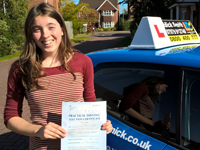 If I hadn't of found Mick I don't think I would have passed first time and be driving today! 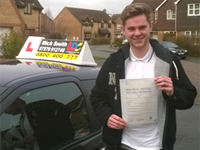 I will be recommending Mick to everyone I know that needs an instructor. Thank you so much for all your help Mick! Best driving instructor ever! I personally experienced a bad driving instructor who did many hours with me and didn't teach me a lot which put me off my driving lessons for few years. One day after those years I decided to look for a good driving instructor to make sure they won't put me off again because I had no hope left that I will ever learn how to drive after the bad experience. 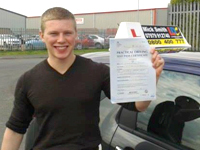 I found a professional driving instructor, Mick, online and I read about what people said. I decided to take a chance and it was so worth it. Mick is a driving instructor who is dedicated to his job, he puts his heart into teaching you, he cares and wants you to pass, he will always find ways to explain things to you properly and if you still don't understand he will find a way to make sure that you do. He will also practice areas that need it with you over and over again until you get them right. 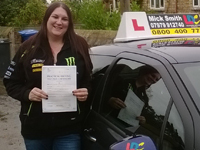 I Enjoyed my lessons with Mick and achieved a first time pass. I would recommend him to anyone who is looking for a good driving instructor who is not trying to rip you off but instead he wants to make sure that you will pass. I was really nervous when I started driving but Mick has been patient and kind the whole time that I have been learning. 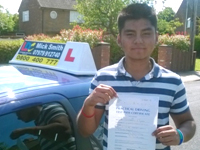 He's always been completely dedicated and dependable and has given me all the encouragement and support that I needed to become a confident driver and pass first time. Thanks so much Mick, I couldn't have had a better instructor. 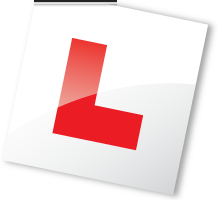 As I was searching for a driving school, I came across a new learning system where you would read and watch the driving videos, and I thought what a great idea that was. My instructor Mick has been amazing! I am so glad I made the right choice. He has always been very supportive, encouraging and provided me with useful feedback throughout my sessions and helped me pass first time. Now after almost a week of driving my own car, I am getting more confident and using all the skills taught by Mick. I also know that I can always contact him if I need further help or advice. I learnt with Mick from the start and he put me at ease and was incredibly patient with me. I wouldn't have wanted to learn with anyone else. Thanks Mick! mend him to anyone. Thank you so much! I learned to drive with Mick and was glad I did. He taught me well and was very patient making it easier for me to learn. 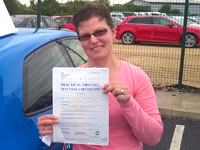 I only had 30 hours of lessons and passed my test first time. Thanks very much Mick. I started really timid and scared of hitting a pot hole or something. Mick was really patient making sure I understood each lesson as we moved on. Now I am really confident and really enjoy driving. 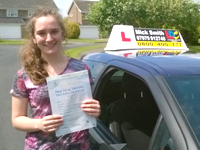 I'll really miss Mick now I have passed and have become a fabulous driver thanks to his marvellous teaching methods. 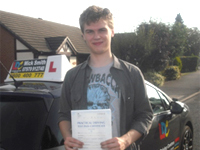 I learned to drive with Mick and passed first time with just 2 minors. I was with different instructors prior to Mick but he told and showed me things that I hadn't been taught previously. I am so glad I went with Mick and would highly recommend him to anyone. Thank you so much Mick, you have changed my life. I have just passed my test first time with Mick. I felt comfortable with Mick the entire time that I was learning. He had a calming influence throughout and was very patient when correcting my errors and enthusiasm. I would definitely recommend Mick to anyone who wants to learn to drive. 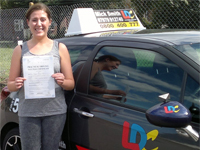 I am really glad I chose to learn to drive with Mick; he was continually very patient and helpful. 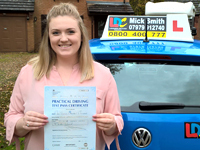 I passed first time so extremely pleased and I will recommend Mick to my friends and family that are looking to learn to drive. Cheers for all your help Mick. 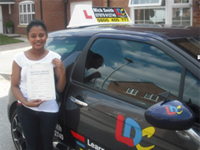 Hi to everyone who wants to pass their driving test the first time, not a guarantee but 95% chance to pass the first time. Before I met Mick my confidence level was nearly zero having recently failed my first driving test with another driving school. After only one week with Mick my confidence level rose from zero to giant, Mick is awesome. If you are looking for highly professional instructor look no further, you're in the right place, Mick is the answer. I passed the first time with only three minors. Once again thank you Mick for being patient for all the times I made mistakes. Today I passed my driving test with Mick. I have felt very relaxed with Mick and passing the test has changed my life. I live in the middle of the countryside nowhere near a main road or a bus route with a long walk to get my children to school or to their school bus. I can now sort them and don't have to rely on my friends to get to see them or my family. 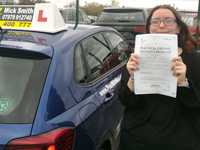 Mick has been extremely patient but persistent and very flexible ensuring that I knew everything for the test only getting 3 minors so I am really happy. Today I passed my driving test thanks to my Instructor Mick. 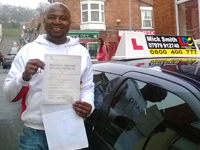 He has been a fantastic instructor, very patient with helping you learn. He has been flexible fitting into my work shift routine which changes every week. All the lessons were tailored to the areas I needed to work on ensuring problems weren't repeated. Big thank you to Mick for helping me acquire the skills I needed to pass my driving test. 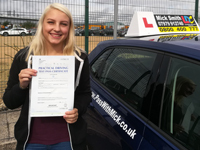 Mick is an excellent driving instructor, not only is he very patient when making mistakes but he makes sure you understand where you went wrong, the safety implications involved and ensures that you improve and rise above them. 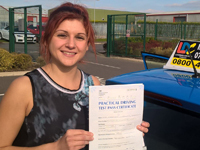 My last driving instructor stopped instructing and I failed to find another for about a year. 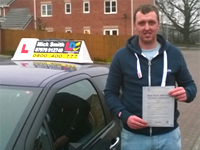 Mick helped me get back into driving quickly and had me ready for my test in a short time. He made sure I passed first time with flying colours. I learnt a great deal and had a great time along the way. Cheers Mick. I had to come to Mick at short notice due to my previous driving instructor letting me down two weeks before for my test. Mick is my 3rd instructor and the best instructor that I have had. He is a calming influence and patient. I learnt a lot more in the past 2 weeks than I had with my previous instructors. He is very friendly and was able to put me at ease and prepare me for the test. I would recommend Mick to anyone who wants to learn to drive.